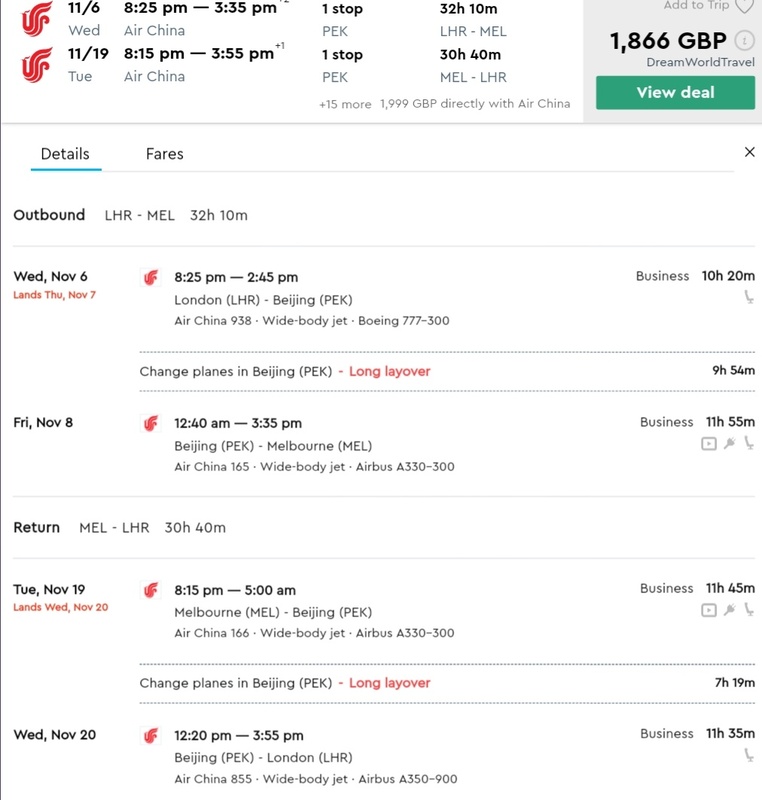 Home » air china » business » business class » china » lhr » london » melbourne » star alliance » star gold » Air China: London to Melbourne from £1866!! 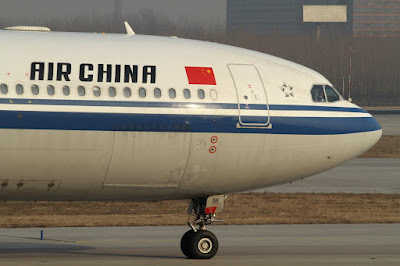 Air China: London to Melbourne from £1866!! 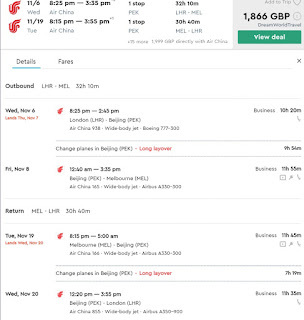 Air China is having a sale from London to Melbourne, Australia via Beijing. 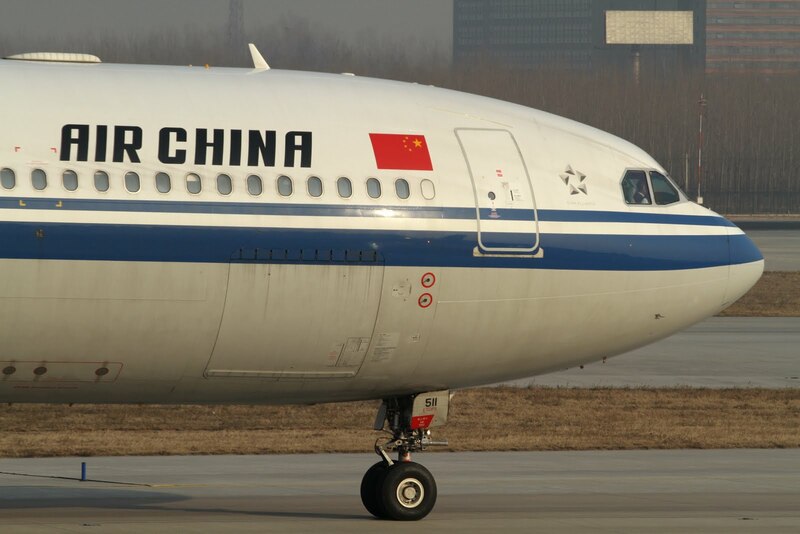 You will earn 26806 miles or 125% of flown distance in most Star Alliance programs except Air China where you would obtain 200% of flown distance or 42888 miles.